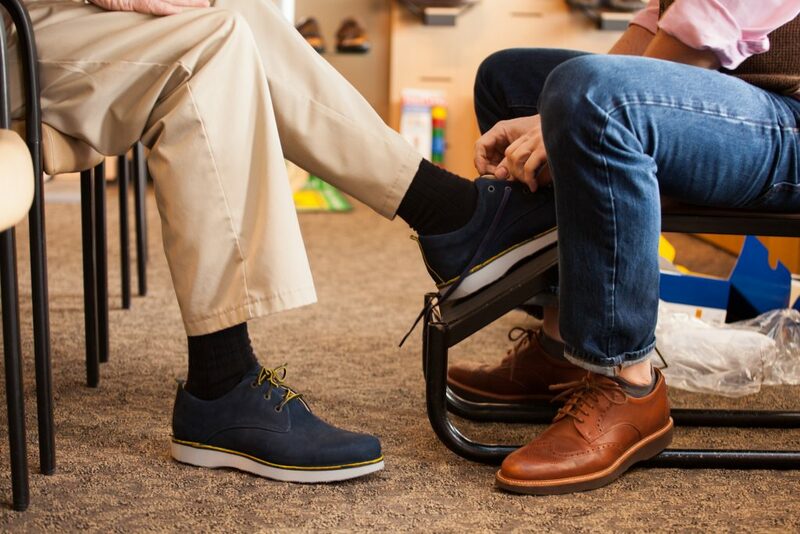 Comfort Plus Shoes & Footcare is your source for Samuel Hubbard shoes in Kansas City. Samuel Hubbard has created shoes for all day comfort. All day go to work wear or strolling the streets of London with ease, these shoes are engineered with comfort at the heart. This is simply how Samuel Hubbard shoes are designed and built. This begins by taking the time to develop perfect fitting lasts—the form a shoe is shaped around. In this pursuit, Samuel Hubbard uses the highest quality of materials and construction. Simply shoes of the utmost quality. Designed in Mill Valley, CA and meticulously crafted in Portugal, Samuel Hubbard uses only the finest European leathers and materials, and strive to perfect every detail. Please visit us to see Samuel Hubbard’s “Go To Work” line and their “Un-Sneaker” collection.